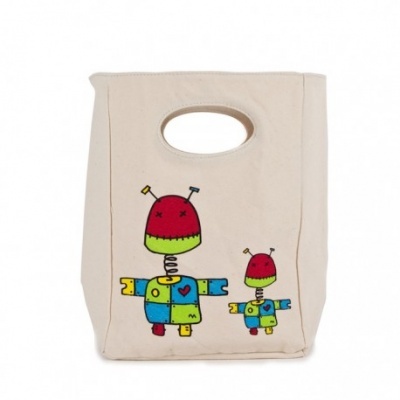 A washable reusable lunch bag. Made with organic cotton and safe water-resistant lining.
. Space inside to personalise with child's name. Lining: (tested food-safe) 100% water-resistant polyester.